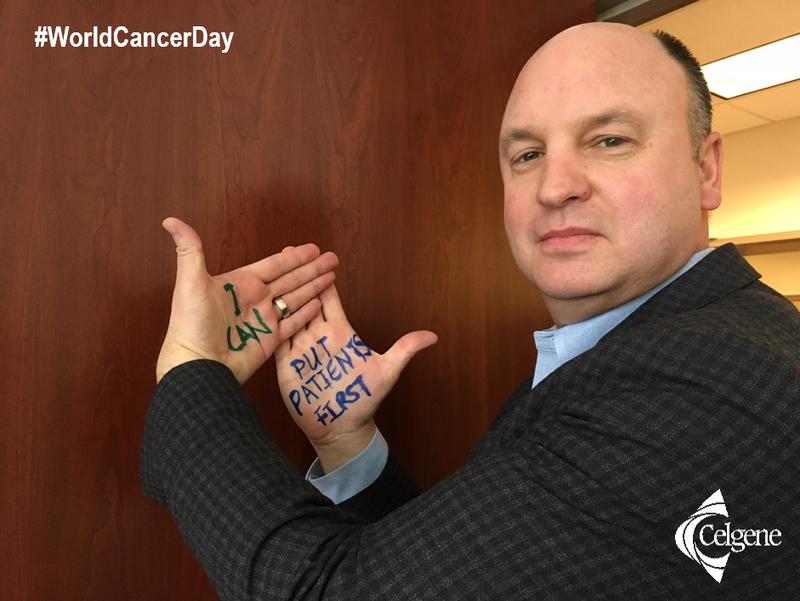 Cancer advocates are letting their hands do the talking on World Cancer Day 2016, and our employees are raising their hands as well to show support. 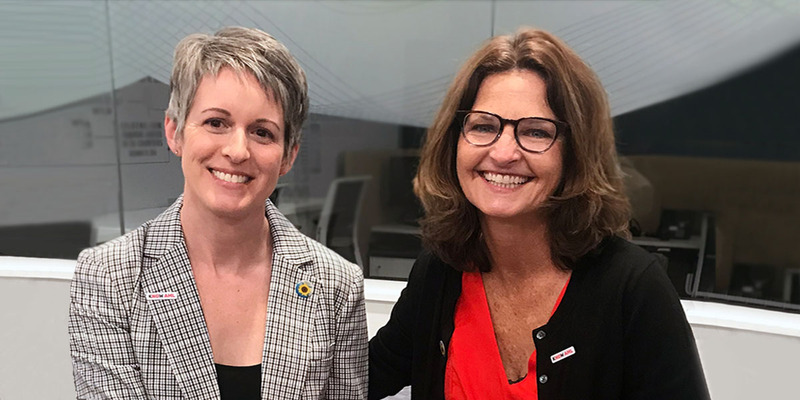 This year, organizers of the annual event are raising awareness of the global burden of cancer—which includes 14.1 million new cases diagnosed each year, a figure that is expected to increase to 19.3 million by 2025—through their “We Can. I Can.” campaign. The campaign asks supporters to write how they can help fight cancer—as a community or as an individual—on their hands and share their commitment on social media. Since many Celgene employees and offices are participating in this campaign, we’d like to highlight some of our committed team members. 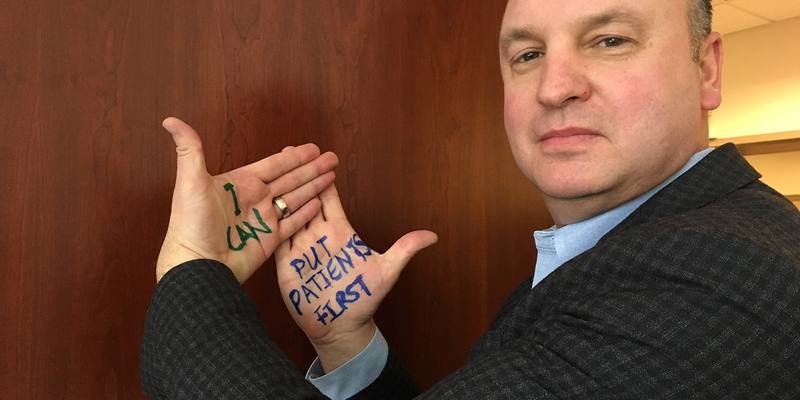 Joel Beetsch, Vice President of Patient Advocacy at Celgene, shares his commitment to put patients first as part of the Talking Hands campaign for World Cancer Day 2016.
: Dr. Markus Renschler, Senior Vice President and Global Head of Hematology & Oncology Medical Affairs at Celgene, believes that the cancer research community can improve cancer care through innovative research as part of the Talking Hands campaign for World Cancer Day 2016. 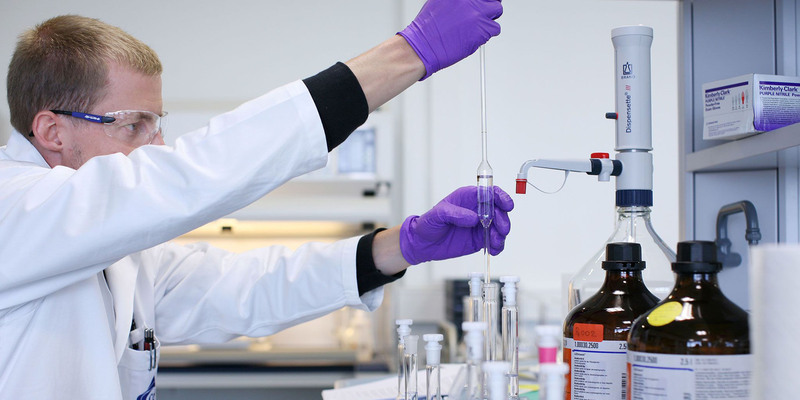 Markus Renschler, MD, Senior Vice President and Global Head of Hematology & Oncology Medical Affairs at Celgene, is responsible for all external clinical research. 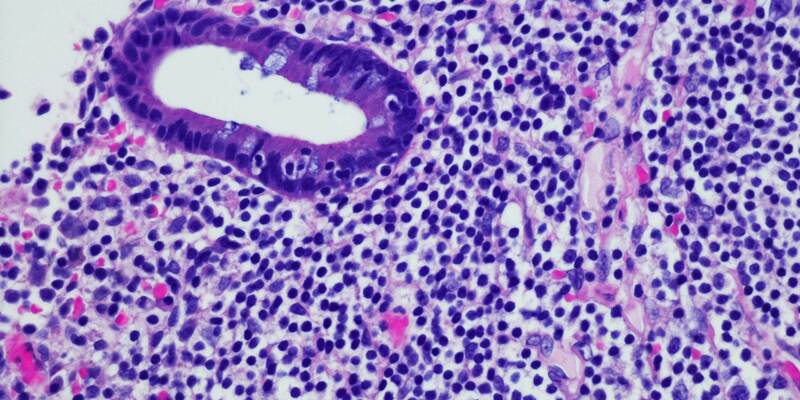 His team is charged with discovering new ways to test, combine and invest in cancer research that could benefit patients. 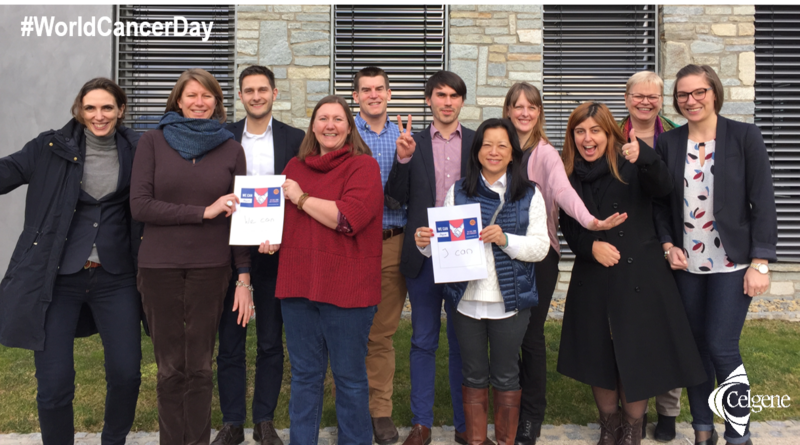 The EMEA Corporate Affairs team from Celgene’s European headquarters in Boudry, Switzerland shows their support for World Cancer Day 2016 by posing for a group photo. From left to right: Laura Gutierrez, Lugdivine Le Dez, Christoph Gliesing, Hannah Saul, Kevin Loth, Silviu Popa, Annette Nietlispach, Stacey Minton, Rute Marques, Johanna Junod and Nicole Wicki. 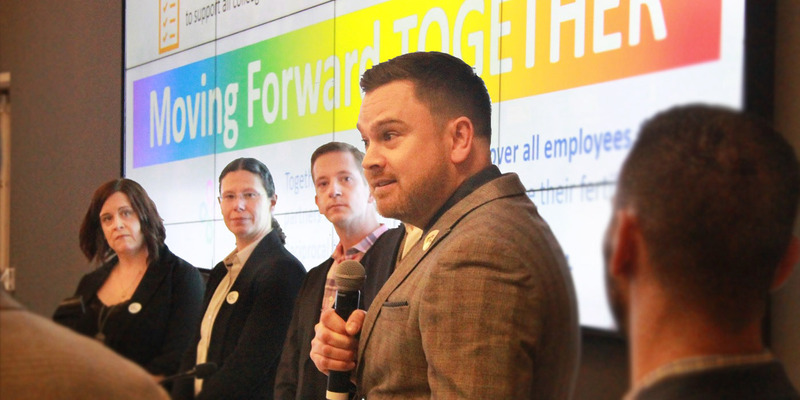 Meanwhile, the EMEA Corporate Affairs team from the company’s European headquarters in Boudry, Switzerland was also excited to get involved in the campaign. 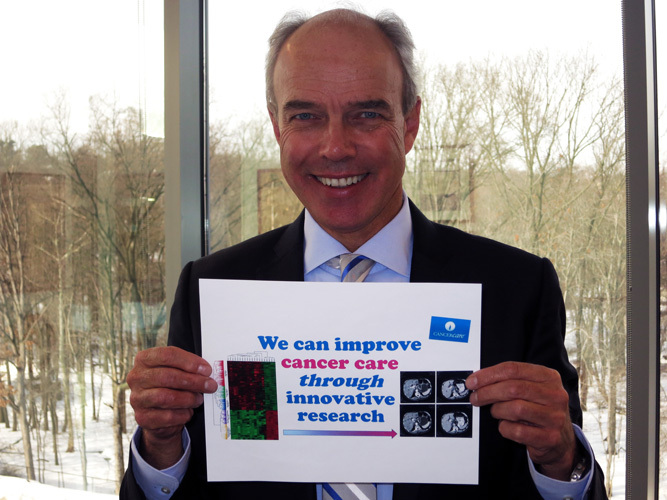 Discover the other Celgene employees who are supporting World Cancer Day by visiting our Twitter, Facebook and LinkedIn profiles.